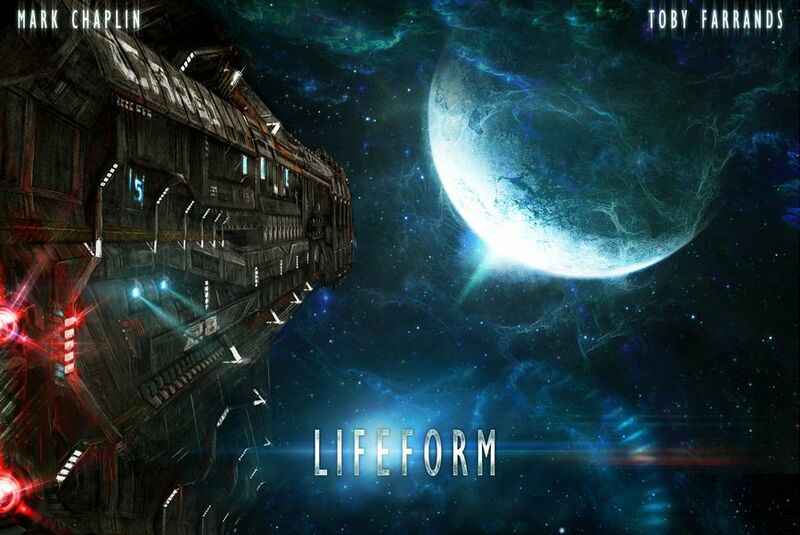 Lifeform is a game of survival horror for two to four players in which one player takes on the role of an almost invincible, utterly hostile alien, while all other players take on the roles of the crew of commercial mining starship, Valley Forge. During each game, the crew, outfitted with glitchy handheld sensors disrupted by a proximate nebula, search their labyrinthine vessel for equipment, weaponry, and supplies to load onboard escape shuttlecraft Remora. Along the way, the alien lifeform will ruthlessly attempt to stop the crew from carrying out this plan. The crew and alien lifeform both have a unique deck of cards, and each card has symbols on it to indicate possible actions. The alien can move around the starship, attack, cocoon, activate a malfunctioning android, sabotage equipment and the vessel's wiring, scurry into vents, and more; while the starship crew can fire flamethrowers, search, move or run, protect themselves with shock-prods, hide, shut security doors, and other actions. Lifeform is a standalone, dice-less game that tells of twelve commercial astronauts working on a battered mining starship, far away in space and time, who encounter an awesome galactic horror. Featuring an innovative self-destruct game mechanism, and alternate playable endings, depending on crew success, Lifeform presents a tense, suspenseful adventure with each and every game.